AstraZeneca Plc (LON:AZN) and MSD Inc., Kenilworth, N.J., US (MSD: known as Merck & Co., Inc. inside the US and Canada) today announced the European Commission has approved Lynparza (olaparib) as a monotherapy for the treatment of adult patients with germline BRCA1/2-mutations (gBRCAm), and who have human epidermal growth factor receptor 2 (HER2)-negative locally-advanced or metastatic breast cancer. OlympiAD was a global, randomised, open-label, multi-centre Phase III trial of 302 patients, assessing the efficacy and safety of Lynparza tablets (300mg twice daily) compared to the physician’s choice of chemotherapy (capecitabine, eribulin or vinorelbine); 205 patients were randomised to receive Lynparza and 97 patients were randomised to receive chemotherapy. Patients in the OlympiAD trial had germline BRCA1- and/or BRCA2-mutated, HER2-negative (HR-positive or triple negative) breast cancer and received Lynparza for treatment in the metastatic setting. Prior to enrolment, all patients were treated with an anthracycline (unless it was contraindicated) and a taxane chemotherapy in the neoadjuvant, adjuvant or metastatic setting. Patients with metastatic breast cancer (71% of patients) had received no more than two previous chemotherapy treatments for metastatic disease. Patients with HR-positive breast cancer had received at least one endocrine (hormonal) therapy (in the adjuvant or metastatic setting) and had disease progression during therapy, unless they had disease for which endocrine therapy was considered inappropriate. Previous treatment with platinum chemotherapy in the neoadjuvant, adjuvant or metastatic setting was allowed (28% of patients). The most common adverse reactions (≥20%) in the OlympiAD trial of patients who received Lynparza were nausea (58%), anaemia (40%), fatigue (including asthenia) (37%), vomiting (30%), neutropenia (27%), respiratory tract infection (27%), leukopenia (25%), diarrhoea (21%) and headache (20%). The percentage of patients who discontinued treatment in the Lynparza arm was 5% vs. 8% in the chemotherapy arm. Advanced/metastatic breast cancer refers to Stage III and IV breast cancer. Stage III disease may also be referred to as locally-advanced breast cancer, while metastatic disease is the most-advanced stage of breast cancer (Stage IV) and occurs when cancer cells have spread beyond the initial tumour site to other organs of the body outside the breast. Since there is no cure for the disease, the goal of current treatment is to delay disease worsening or death. In 2018, there were an estimated 2.1 million new cases of breast cancer worldwide – one in four cancer cases among women (24.2%). In Europe the estimated 5-year prevalence of breast cancer in 2018 was 2,054,887 cases.1 Approximately 30% of women who are diagnosed with early breast cancer will go on to develop advanced disease. Breast cancer susceptibility genes 1/2 (BRCA1 and BRCA2) are human genes that produce proteins responsible for repairing damaged DNA and play an important role maintaining the genetic stability of cells. When either of these genes is mutated, or altered such that its protein product either is not made or does not function correctly, DNA damage may not be repaired properly, and cells become unstable. As a result, cells are more likely to develop additional genetic alterations that can lead to cancer. Lynparza (olaparib) is a first-in-class PARP inhibitor and the first targeted treatment to block DNA damage response in cells/tumours harbouring a deficiency in homologous recombination repair (HRR), such as mutations in BRCA1 and/or BRCA2. Inhibition of PARP with Lynparza leads to the trapping of PARP bound to DNA single-strand breaks, stalling of replication forks, their collapse and the generation of DNA double-strand breaks and cancer cell death. Lynparza is being tested in a range of tumour types with defects and dependencies in the DDR. Lynparza, which is being jointly developed and commercialised by AstraZeneca and MSD, is approved for multiple indications in advanced ovarian cancer and metastatic breast cancer and has been used in over 20,000 patients worldwide. 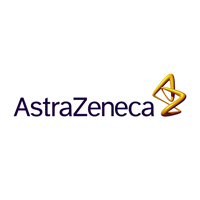 On 26 February 2019, AstraZeneca and MSD announced that Lynparza became the first PARP inhibitor to demonstrate benefit in gBRCAm metastatic pancreatic cancer in the Phase III POLO trial. Lynparza has the broadest and most advanced clinical trial development programme of any PARP inhibitor, and AstraZeneca and MSD are working together to understand how it may affect multiple PARP-dependent tumours as a monotherapy and in combination across multiple cancer types. Lynparza is the foundation of AstraZeneca’s industry-leading portfolio of potential new medicines targeting DDR mechanisms in cancer cells. In July 2017, AstraZeneca and Merck & Co., Inc., Kenilworth, NJ, US, known as MSD outside the United States and Canada, announced a global strategic oncology collaboration to co-develop and co-commercialise Lynparza, the world’s first PARP inhibitor and potential new medicine selumetinib, a MEK inhibitor, for multiple cancer types. Working together, the companies will develop Lynparza and selumetinib in combination with other potential new medicines and as a monotherapy. Independently, the companies will develop Lynparza and selumetinib in combination with their respective PD-L1 and PD-1 medicines. AstraZeneca has a deep-rooted heritage in Oncology and offers a quickly-growing portfolio of new medicines that has the potential to transform patients’ lives and the Company’s future. With at least six new medicines to be launched between 2014 and 2020 and a broad pipeline of small molecules and biologics in development, we are committed to advance Oncology as one of AstraZeneca’s four Growth Platforms focused on lung, ovarian, breast and blood cancers. In addition to our core capabilities, we actively pursue innovative partnerships and investments that accelerate the delivery of our strategy as illustrated by our investment in Acerta Pharma in haematology.